A few weeks ago at GenCon, I sat down with Mitch Gitelman and Mike McCain of Harebrained Schemes. 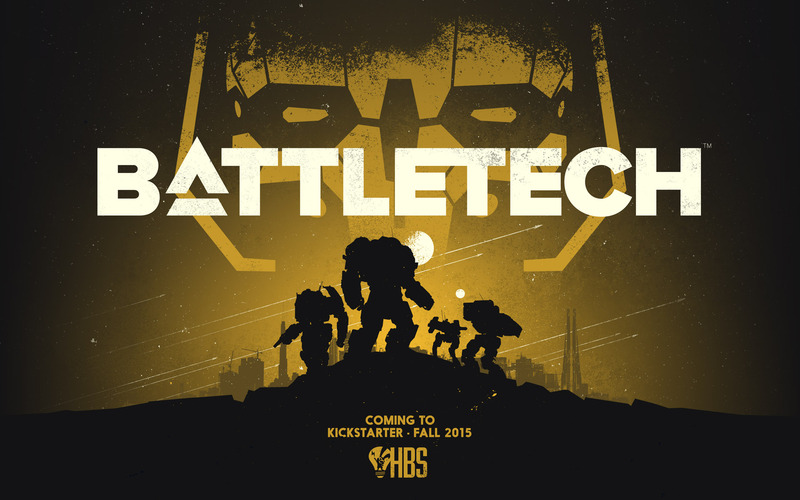 That week, HBS had announced an upcoming kickstarter for BATTLETECH – tactical ‘Mech combat for the PC. Needless to say the community was pretty excited, and I was lucky enough to get some time with the two of them to ask what BATTLETECH will look like. Nic Jansma: Can you both give me a little intro into who you are, and what your day-to-day role at Harebrained Schemes is? Mike McCain: I’m Mike McCain. I’m one of the creative directors here at HBS, on BattleTech, and just finishing up Shadowrun Hong Kong with Mitch here. I’m co-directing BATTLETECH with Jordan. Mitch Gitelman: My name is Mitch Gitelman. I’m the cofounder and studio manager of HBS, and I also make games. Nic: I obviously saw your announcement earlier this week. Took me by surprise! I’ll be honest, I’m really excited for it. I know you guys have done a great job with Shadowrun, and have Jordan behind you. And judging by the comments on Sarna and on Facebook, it sounds like the community as well is just as excited to see what this could be. So we’re really getting behind you guys. Mitch: The community’s faith in us has been really cool. Everybody online has just been like “You are the guys to make this!” Really, it was touching. Mike: There were a few Shadowrun backers that were photoshopping ‘Mechs into Shadowrun art, and that was awesome. Nic: How long have you guys been scheming to get BattleTech onto the books? Mitch: Yeah, since we formed HBS we’ve talked about BattleTech forever. It’s just a matter of licensing, which is its own issue. Mike: The team burst into a round of applause we announced we got the licenses. 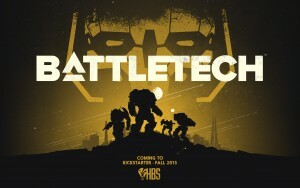 Nic: So really quick question – is it just going to be called BATTLETECH? Mitch: Yeah! It’s just going to be called BATTLETECH. We don’t want to equivocate or anything. It’s not “BATTLETECH: THE DISFUNCTION OF JARED’S SIN”. It’s BATTLETECH. 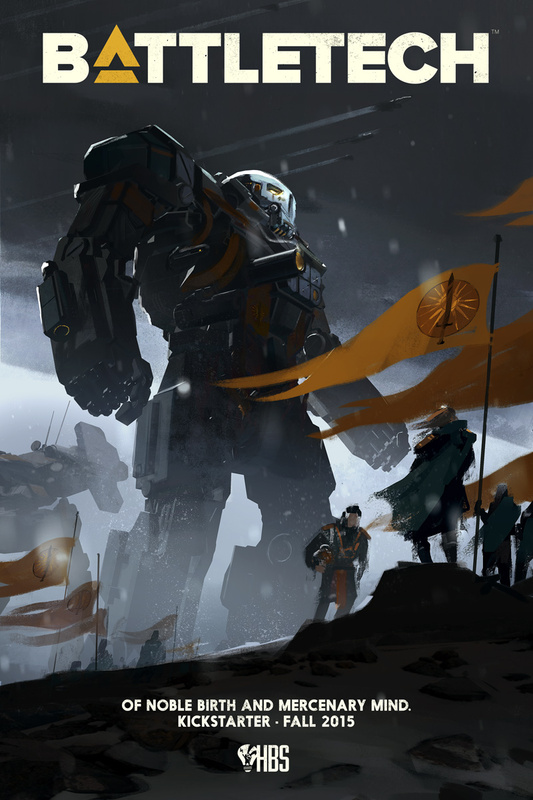 Mike: And it actually is appropriate to what we’re doing, because we’re trying to bring BattleTech back to its roots, both fictionally and game play wise. We’re set in the 3025 era, Third Succession War is over, and the Fourth is just starting percolate. There’s peace, but it’s not really peace. So we think it’s a really cool era, the history of the Inner Sphere, and we can really tell the kind of stories we want to tell. We can explore the depth of feudal and political intrigue of the franchise. We’re really excited. Nic: BattleTech has been in many forms since its inception obviously. From tabletop to PC to Virtual World to MechWarrior to MechCommander. What style game is this? How will the players be interacting? With a MechWarrior or a ‘Mech? Or both? Mike: Both! We’re making a turn-based, tactical squad combat game. You’re going to command a lance of 4 ‘Mechs on the battlefield. It’s going to be a single-player mercenary-style campaign. MechWarrior 2 is a good reference for that. You’re going to choose which missions you want to take. You’re going to hire new MechWarriors, upgrade your ‘Mechs, get salvage. All that good stuff, from mission to mission. Mitch: And develop your MechWarriors too. Mike: Yes! MechWarriors will grow. We’re careful not to guarantee specific features here, but we’re looking at MechWarriors with different quirks, personalities, strengths and weaknesses that might manifest over time. Nic: Because from my recollection at least, in existing PC games, there wasn’t as much of a focus as developing the MechWarrior. Mitch: In MechCommander 2, we did. And that’s a great basis of knowledge of us to go forward. It was actually very successful in MechCommander 2 and I think the audience reacted well to it. So we can do even more of that. Mike: The initial game we’re taking to Kickstarter is a single-player, open-ended campaign. We are hoping we’ll do well in Kickstarter, so we are talking about multi-player as a stretch-goal. We’ll have more details about that as we get closer to Kickstarter, in the next couple of months. Nic: You guys had a great reaction from the Shadowrun Returns Kickstarter, that’s helped brought us all to this point here today. What do you guys like about Kickstarter? Why are you doing it through Kickstarter? Mitch: We love Kickstarter. It’s about the relationship with your audience. That’s everything. That’s a guiding principle of the entire studio, building real relationships. We’re not this faceless company; we’re like a garage band. And Mike’s the drummer! Mike: C’mon, I’m at least lead guitar. Mitch: Yeah, you’re no drummer! That’s the deal. It’s really about the relationship with the audience, and letting them peak behind the curtain and show them how games are made. We don’t show them how the sausage is made, if you know what I mean, because that gets ugly. They don’t like the details. But we’ll show you this is how, and we like doing that, we like sharing with the audience. Nic: So you mentioned briefly the 3025 setting. Are you going to be sticking with already well-developed plotlines, or are you going to be developing your own within the existing canon? Mike: There’s going to be a mix. We’re not ready to talk about any specifics, and to be frank, we’re still working on the pre-production of a lot of that stuff. I will say that the backdrop of whatever happens in our game will be the canon you’re familiar — for example the Davion Steiner wedding is being planned. Mitch: I just wanted to add to that. It’s important to us, that when we made the Shadowrun game for example, it’s Shadowrun. It’s true to the canon. It’s true to tone that people expect. We do our own thing, and we tell our own stories, but it’s steeped in that setting. It’s the same thing with BATTLETECH. We want to tell a real, classic BattleTech story. That’s what people want. And that’s what we damn well will give them! Mike: You’ll be commanding a small mercenary outfit in the game. That’s one of the things we think is cool about the 3025 era. You’ve got “peace time”, but it’s not really peace time. As a mercenary, you a deniable asset for a variety of the great houses, so there will be all sorts of interesting, cool story lines. We’re talking about developing the periphery in some ways too. Nic: What are some of the things you’re most excited about trying to include into your vision of the game? Mitch: I’ve always been attracted to the background. For me, having made the MechCommander series and worked on MechAssault, it’s important to me that it really feels genuine. That it feels really steeped in the lore and stuff like that. Mike: And I don’t think the Inner Sphere’s fiction has really been the focus of a PC MechWarrior in a long time. MechWarrior was all about the Clan invasion. So having the opportunity to really tell those classic Inner Sphere Machiavellian stories is really exciting. Especially coming off of our storytelling experience with Shadowrun. Nic: What are some of your goals with the Kickstarter? You did a lot of stretch goals with Shadowrun Returns. I’m assuming you’ll be offering interesting things for people that want to back BATTLETECH? Mike: Our first goal for Kickstarter is to co-fund the development project with backers, not unlike a traditional publisher would with us. We’ll be putting some money in. We’ll be asking backers to help fund the rest of the budget for the base game. And then we’re looking at a variety of stretch goals. We’re looking at PvP, multiplayer, on the planet of Solaris 7, a lot of other cool stuff. We’ve talked about the possibility of more company-command level things (in stretch-goal land). This is my first GenCon, and I’ve been talking to BattleTech fans all day, and the passion for the project is tremendous. Nic: Without giving us any commitments, Shadowrun took about a year from funding to release. Are you guys hoping for a 2016 or 2017 release? Mike: 2017. We’d like to think we learn a little bit from project to project. Shadowrun Returns was a blast and we’re really proud of it. We also want to make sure we have enough time. We’ve done this with Shadowrun and Golem Arcana several times now. We have a pretty good idea, on BATTLETECH we want to start with a new fully 3D engine so we’re going to make sure we do it right. We’re looking at early 2017. Mitch: It also depends on what funding level we get! So the more game they want us to make, the longer it’s probably going to take. Mike: I will say we funded Shadowrun Hong Kong in January, we said it’d be out in August, and it’s coming out August 20th. Nic: I think that’s one of the reasons why the community is so excited, because you guys really deliver (where not everyone on Kickstarter does). Mike: We try our best. Nic: Is it going to be based on any of the Shadowrun engine at all, or are you starting from scratch? Mike: No, for the most part it’s from scratch. ‘Mech combat is such a different beast. Shadowrun is hide behind cover, ‘Mechs is not so much. Mitch: I think the experience is more destroy cover. That’s one of the things I loved about MechCommander. You could just blow stuff up. Mike: That was definitely something on the art direction side of things I want to make sure we’re able to make ‘Mechs look really big, and have that kind of weight and power about them. Expect lots of things to step on and explode. Nic: By the way, I love all the promo art! Mike: We’re using the base designs that MechWarrior Online uses. We’re going to be putting our own spin on those, for our era and our style. Mitch: We gave a lot of teasers! Nic: Well, we’ll look forward to the Kickstarter this fall! This entry was posted in Interviews, News, Video Games and tagged HBS, Interviews, MechCommander, MechWarrior Online, Video Games on 2015/08/21 by Nic. Despite getting burned from putting $ into MW tactics, I will keep my options open for funding this ver. 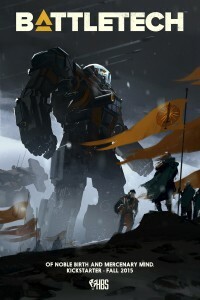 of Battletech. I look forward to see a youtube vid of game play! Will this be a progressive timeline sort of game as well…moving toward Clan Invasion circa 3049 and eventually on to the refusal war and operation bulldog? To speak frankly, I’m ready to just give HBS my credit card info and let them have their way with it. This is the dream team for putting together my dream game. I hope it takes off and we see multiple expansions like with Shadowrun, perhaps taking us all the way up to the clan invasion eventually. I’m a huge fan of Mechwarrior Online and am super stoked to see the art assets from that being used here as well. Now if only those designs would become the standard for the metal tabletop miniatures, then my wife would really be pissed as I blow all of our disposable income all on BattleTech/MechWarrior things. TL; DR: SUPER STOKED, TAKE MY MONEY! My excitement is only tempered by the fact that i’ll have to re-live the Capellan Confederation get its teeth kicked in for the umpteenth time. It’s too bad the 4th SW wasn’t a more even-sided, longer conflict. Gotta admit the moment at the Davion wedding when Hanse announces his wedding gift to Melissa of the worlds he’s gonna take that are on the Capellan Confederations plates. Ah that was epic. And that cleared the way for Sun Tzu to take power. IMO he is one of the more interesting IS leaders as Victor gets a bit boring. The ConCap was already in its knees during the 3rd Succession War. In addition, the AFFS troops outnumbered the CCAF 3-1 in almost every engagement. The ConCap’s defense strategy also Relief on the fast relief of its planetary garrisons with reserve troops, i. e. fast elite units like the Warriors Houses. Justin Allard prevented that prerry much, though. In short, the ConCap didn’t have a chance. Compared to randallized or beased publications, the 4th Succession War is extremely well written and quite logical. Hairbrained Schemes have been custodians of Shadowrun and have done a great job. I would assume they would use the Unity engine like all of the Shadowrun series. I love they release the editor to let community build on what they have built. They can take my money now! They have proved to us through 3 Kickstarter games they are not Chris Roberts nor PGI. Huh. I love PGI and Chris Roberts. Great games from both! Haha, sure. Shill harder, bro. Eh, Chris Roberts hasn’t even released the game yet. I think the jury’s still out on Star Citizen. PGI, on the other hand, definitely deserved a lot of the mud slung their way for MechWarrior Online. They’ve been doing a lot better these days ever since they split with those scumbags at Infinite Game Publishing (who then wound up suffocating MW Tactics), and they’ve earned my trust back for the most part. But I can’t blame anyone who got burned for still being angry. Does MWO feel more like Battletech than it did at launch? I know my biggest issue with it was always that I felt like I was playing some other game reskinned for Battletech, rather than a proper Mechwarrior game. First TT game I ever played, bought it in its first version. You will absolutely get my funding HBS, based both on my excitement for this project and your nice work on Shadowrun. You rock HBS, I can’t wait for this game! I’m happy it is set in 3025. TAKE MY MONEY! !